He’s back and badder than ever. Chad Johnson continues his reign as reality TV’s favorite villain in the new season of Bachelor in Paradise. In a sneak peek from the Tuesday, August 2, season 3 premiere, the luxury real estate agent threatens nemesis Evan Bass once again. The outspoken reality star does, however, have a problem with his Bachelorette season 12 enemy Bass, 33. PHOTOS: The Bachelorette After the Final Rose: Broken Engagements, Weddings, Babies and More! As Us Weekly previously reported, Johnson, Maguire and Bass were three of Bachelorette JoJo Fletcher’s 26 suitors. The 25-year-old Texas native picked former NFL quarterback Jordan Rodgers on the hit ABC series’ season 12 finale on Monday, August 1, leaving runner-up Robby Hayes heartbroken. 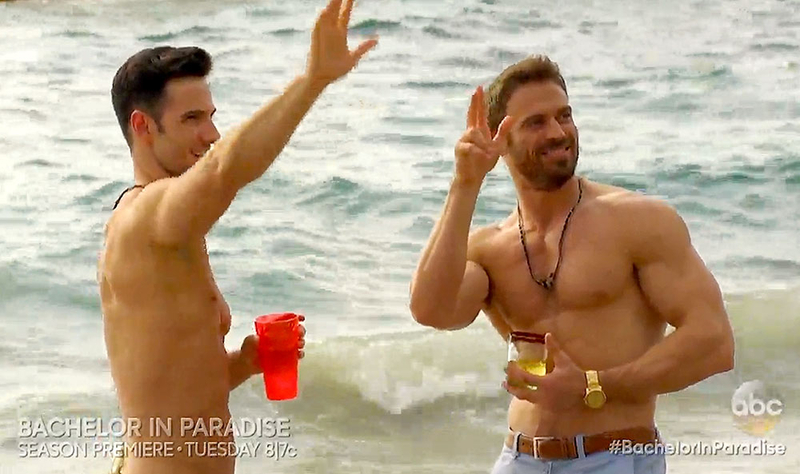 Bachelor in Paradise premieres on ABC on Tuesday, August 2, at 8 p.m. ET.